George Fox (July 1624 – 13 January 1691) was an English Dissenter and a founder of the Religious Society of Friends, commonly known as the Quakers or Friends. 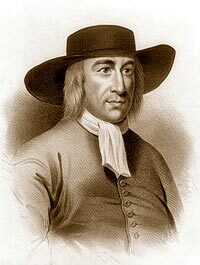 This entry was posted in All Videos, Bad Quaker Fun, Bad Quaker Theology, History, Voluntaryism and Social Interactions and tagged quaker, Quaker Friends, Society of Friends, What Does George Fox Say?. Bookmark the permalink.